Our trained designers use the latest 3D kitchen design software to create your ideal kitchen. 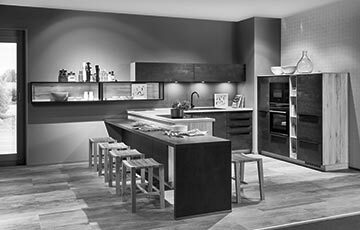 They have years of experience in providing innovative and cost-effective kitchen design solutions. We want to make the process of designing your new kitchen as easy as possible and produce a Kitchenhaus kitchen to your specifications, which is both unique and excellent value for money.